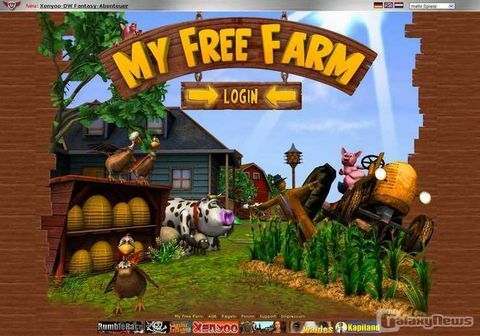 My Free Farm - the first browser game with full organic power! 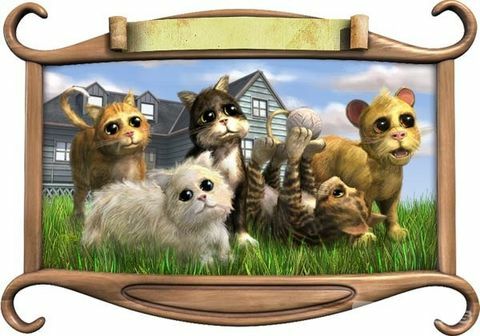 Clucking chickens, mooing cows, buzzing bees, but alas, you've only heard of the beautiful country-life through tales? This is about to change, for on My Fee Farm, you can now run your very own personal farm! 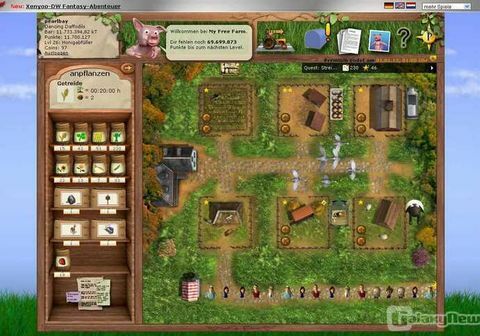 Fresh country air, organic vegetables, happy cows and wooly sheep, and much, much more can be found on our new browser based game revolving entirely around life on a beautiful little farm. 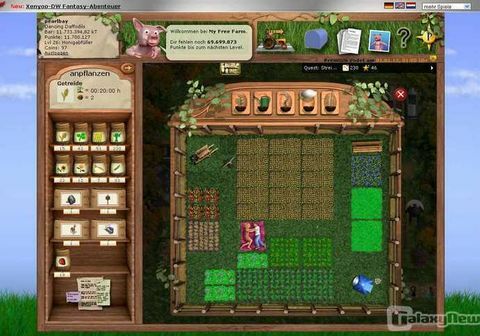 So dive into the colorful work of www.myfreefarm.co.uk and let our clever pig Gordon show you, what you need to know to run your own farm. 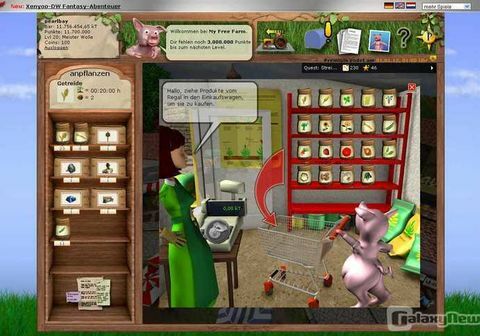 36 different vegetables, flowers and fruits are only waiting to be planted, in order for you to sell them to your customers or thousands of other players. Of course your hungry animals are also waiting to be fed, and, as you know a good farmer takes care of his livestock - from egg-laying chickens to the honey-producing beehive. 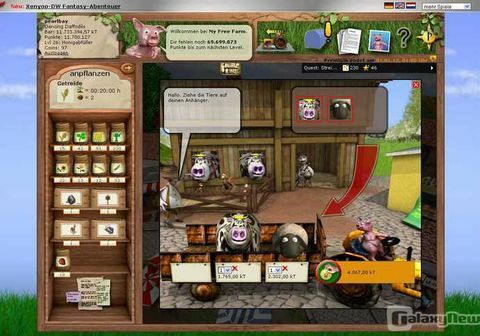 Visit the village next-doors to purchase new seeds or animals. Care to advertise on the billboard in order to attract additional customers? 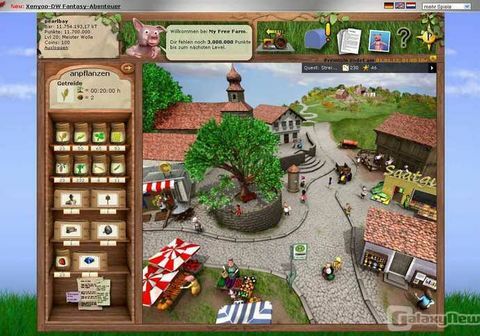 Trade on the market-place with thousands of other players, sell your own produce or purchase new plants? The charming village offers lots of possibilities for an eager farmer, and if you need more space, you can even purchase a second or third farm! Do you want to spice up your fields? No problems either here, simply visit the hardware store and choose from numerous decorations, from a cute deer to a happily hopping bunny. Play single-player-quests, watch your plants prosper and bloom, produce cheese in your very own dairy, take care of woolly sheep and clucking chickens, and enjoy the beautifully rendered graphics!